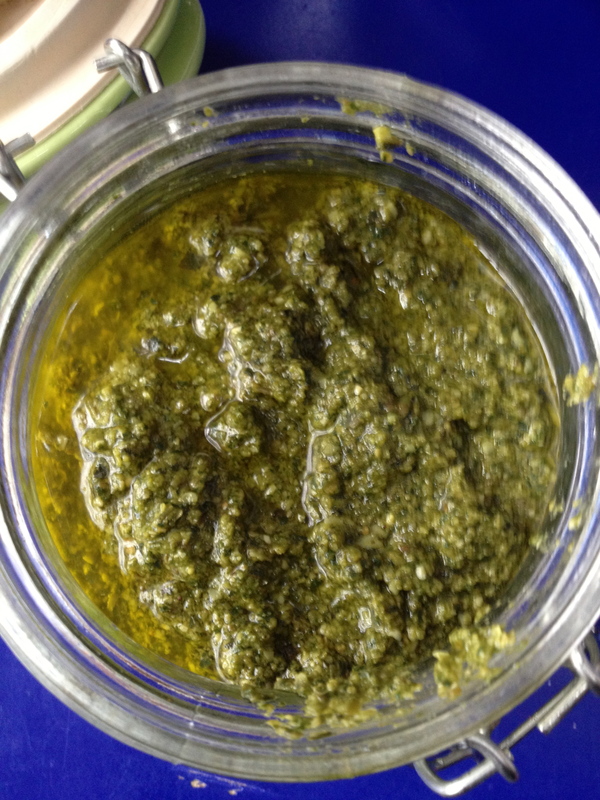 …but it’s the Pesto Genovese that I’m on about. The others I eschew…I’m so rock and roll. It’s the original idea with the simple combination of basil, cheese and oil. However, I am also not a traditionalist as I never include garlic or salt in my pesto. Over time I’ve come to realise that I like a combination of parmesan and pecorino, I like very lightly toasted pine nuts (hardly coloured just heated enough to release the flavour) and Italian extra virgin olive oil (this is more a thematic choice I suspect). Garlic overpowers for my tastes and, hello, the cheeses are salty enough people! 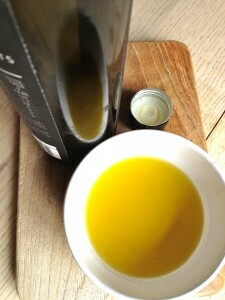 I use a mini processor (comes with the hand blender thingie) as I only like to make a little at a time even though it’ll keep in the fridge, with some oil on the top, for ages. Get everything ready first, yes like they do on the telly, because this is an additions game and subtractions are not possible. The main thing is the cheese prep…hold on we need to talk consistency here. As you’ll know by now, I’m a stickler for you not only knowing your own mind but, exercising your right to live it too! 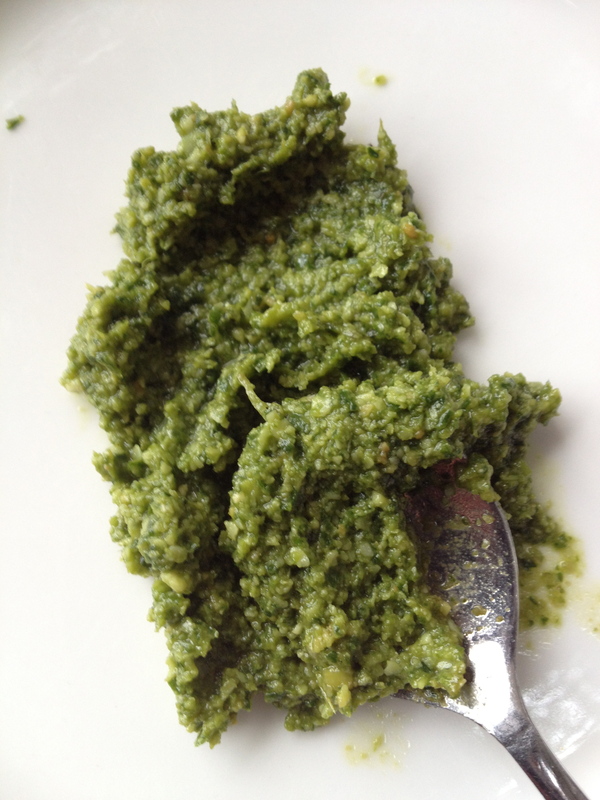 So give a thought to how you’d like the pesto to be at the end – I mean how big the ‘lumps’ of it might be. A smooth paste or a chunky crumble? Obviously this is controlled by the pulsing of the processor. If you’re a little gun-ho and tend to over pulse then you’ll be heading toward a pistou/paste. SO…cheese prep. If you want your pesto smoother then grate it first, if not then just break it into smallish pieces with your fingers. 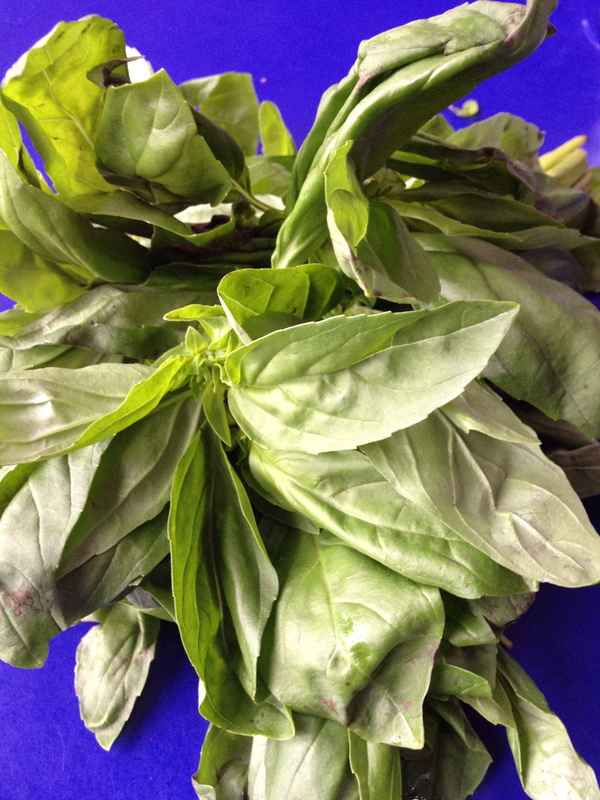 Basil is full of great stuff. It’s crammed with vitamin A, iron and beta-carotene and many other little darlings that will mop up those evil free radicals and help battle bacterial issues, inflammation and cancer. 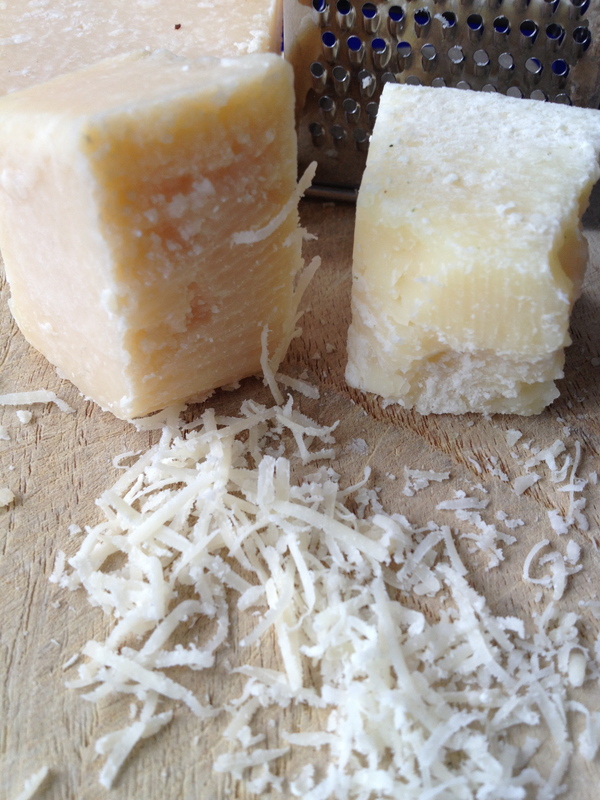 Pecorino is a sheep’s milk hard cheese that, like many cheeses, has to be carefully considered in a diet where health and minimising weight gain are the main desires. 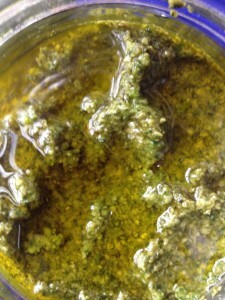 It does contain fat and salt and yet does have a few happy pluses like calcium and some B vitamins as well as vitamin D. Properly grazed and reared sheep’s milk has a high level of an Omega-6 fatty acid in it which is very useful to us, but this fatty acid is not present in forced and modified product. So, as ever, read the labels! 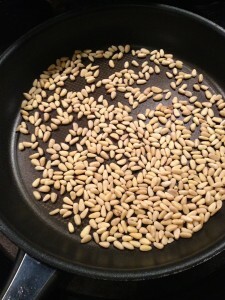 Pine nuts are an excellent source of B-complex and vitamin E. Yes, they have a high calorie count (counting calories is pointless compared with eating correctly) and they do have ‘fat’ in them but it’s mono-unsaturated fatty acids we are talking about which are very good news, especially if you’re having any issues with cholesterol. These nuts also have a whole heap of other nutrients and essential minerals. 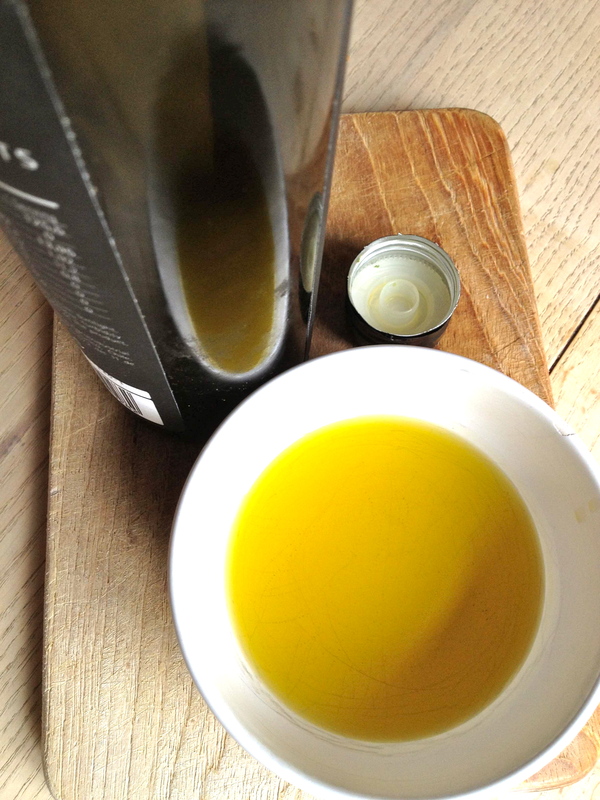 Extra virgin olive oil might also be making you recoil but again we are talking an abundance of mono-unsaturated fatty acids (outweighing the saturated fats and making it healthier than many other oils) and it is a very good source of vitamins E and K. Additionally , if you like that more pungent and woodier taste the extra virgin olive oil has, then it’s that compound that is a very powerful antioxidant. Result. You are correct, Mathew; pesto is easily personalized! It’s kind of like a Mini Cooper; there are a hundred variations, so consider all of your options! Pesto can be frozen, too, which is great if you do most of your pesto making in basil season. 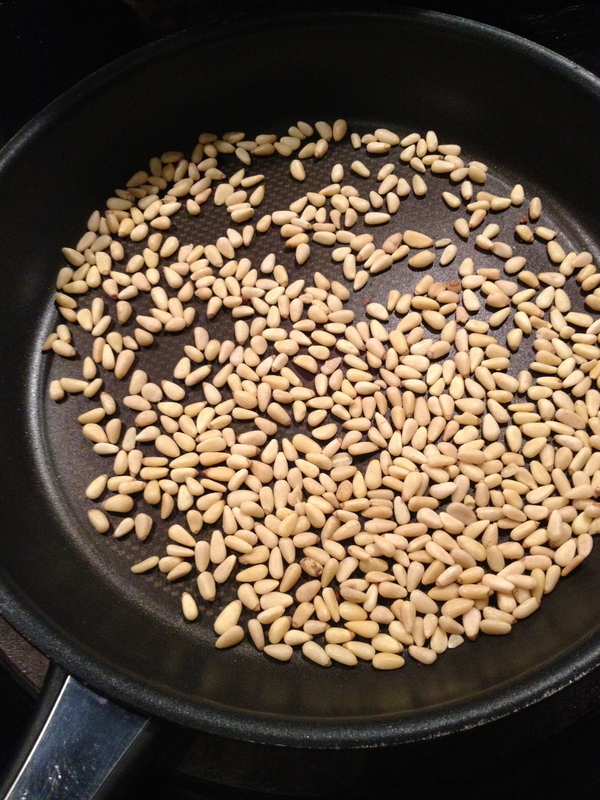 I like to add some fresh lemon juice to mine, and only use pine nuts occasionally. If you do like to use pine nuts, be careful if they’re from China (most are). 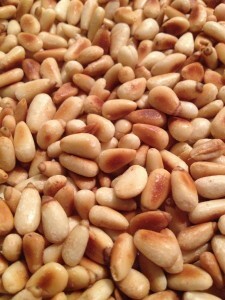 Many people have been getting “pine nut mouth” (metallic and/or bitter aftertaste, which can last several weeks) after eating a Chinese variety, Pinus Armandii, which is cheaper and though not edible, is often mixed in with the edible variety.